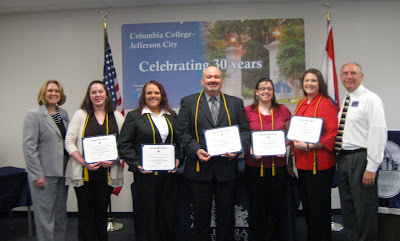 Five Columbia College–Jefferson City students were inducted into the Sigma Beta Delta organization April 22. From left to right – Rebecca Gordon-Bocklage (campus director), Audra Wrisley, Amie Rhodes, Dale Hollingsworth, Amanda Cedeno, Sara Fry and David Humphrey (campus assistant director). Columbia College–Jefferson City students Amanda Cedeno (Jefferson City, Mo. ), Sara Fry (Ashland, Mo. 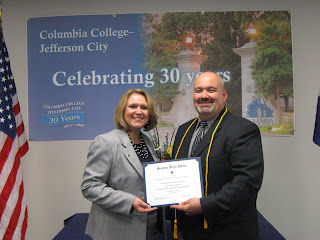 ), Dale Hollingsworth (Jefferson City, Mo. ), Leslie Jobe (Springfield, Mo. 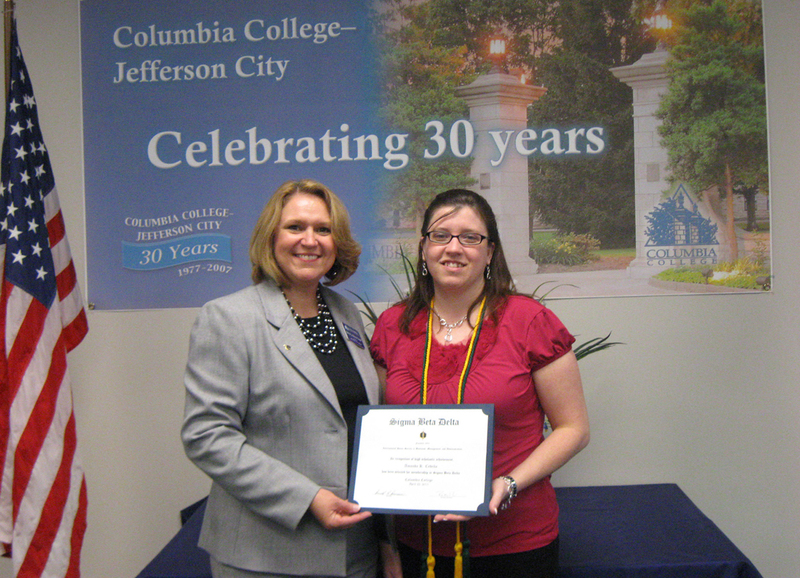 ), Amie Rhoads (Jefferson City, Mo.) 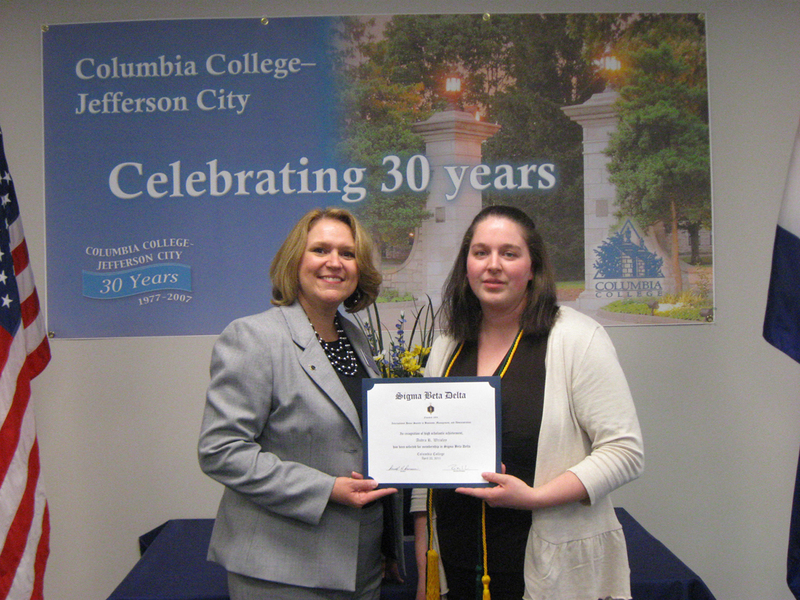 and Audra Wrisley (Jefferson City, Mo.) 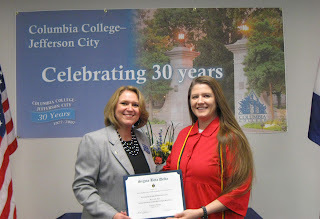 have been inducted into the Columbia College Chapter of Sigma Beta Delta. A formal induction ceremony was held April 22 at the Columbia College–Jefferson City campus. Established in 1974 at the National Guard Armory, Columbia College-Jefferson City started serving the civilian population in 1982. 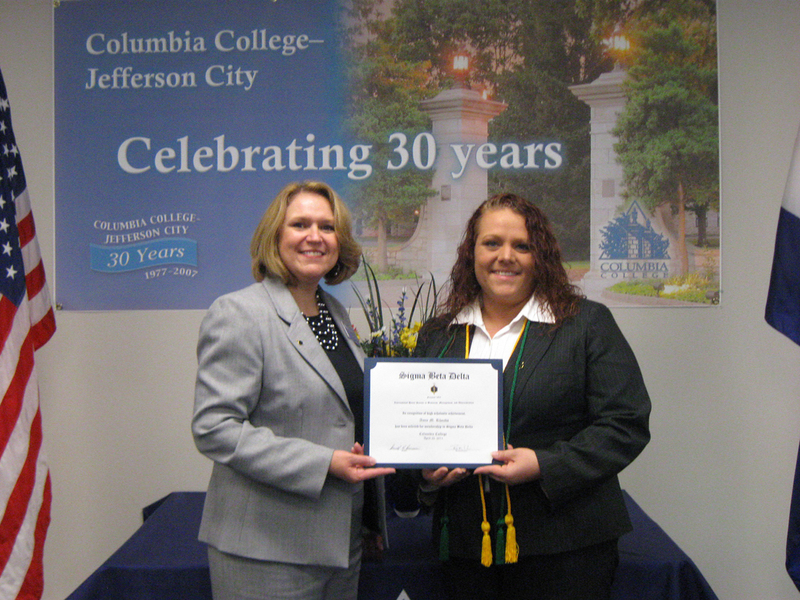 The campus has resided at its current location on Emerald Lane since 2000, and today continues to serve civilian and military adult learners in the Jefferson City area.